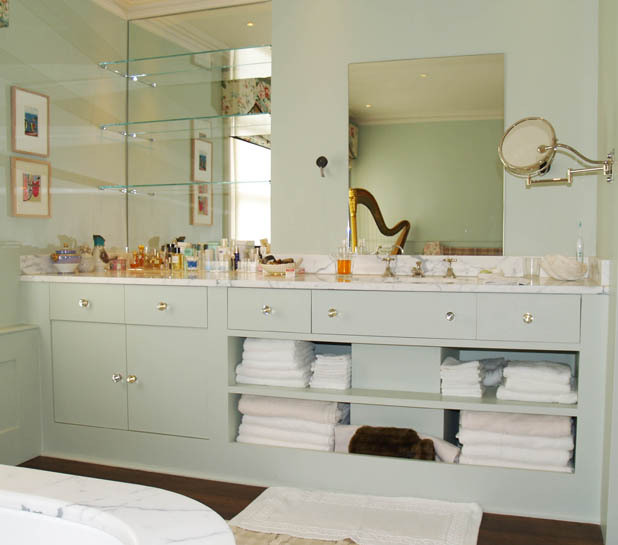 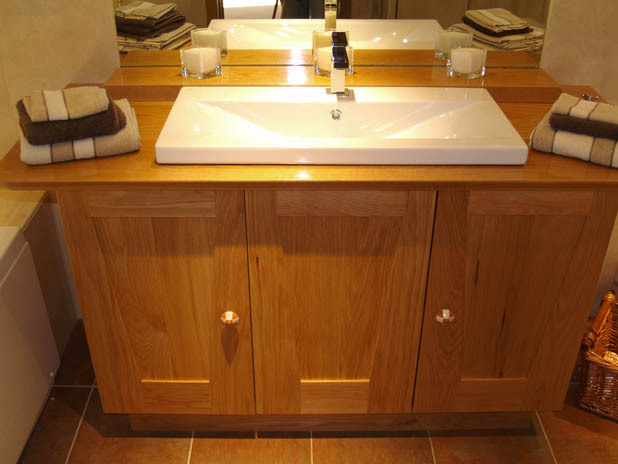 A classic bow-fronted vanity unit and mirrored wall units in a beautifully coloured Cherry-wood. 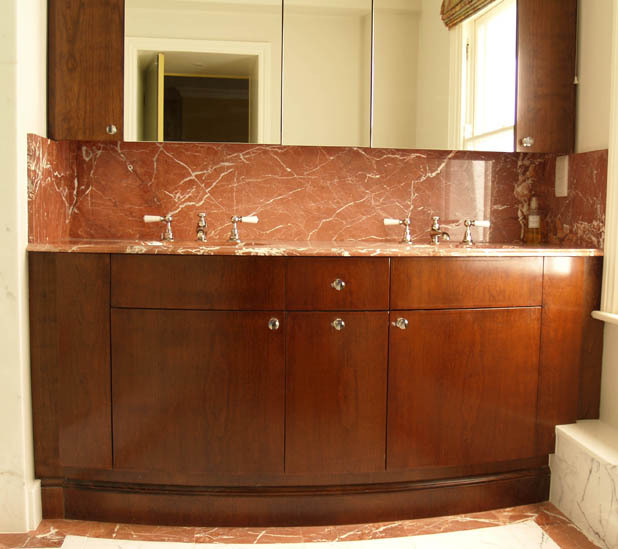 The centre piece of a master bathroom in a London town house, complimented by Rojo Alicante marble. 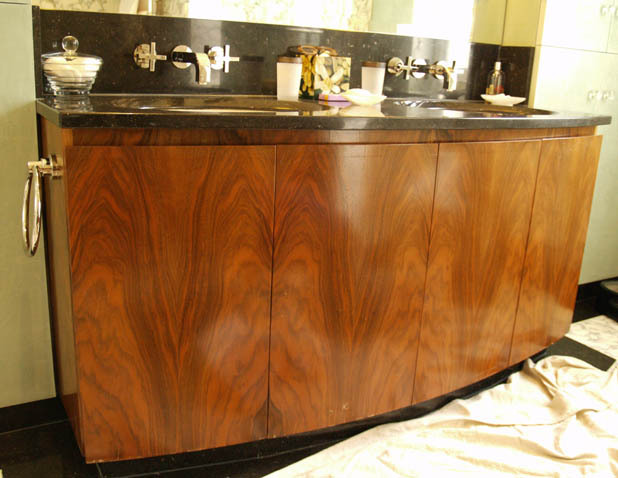 Walnut exudes "warmth" against the dark granite surfaces. 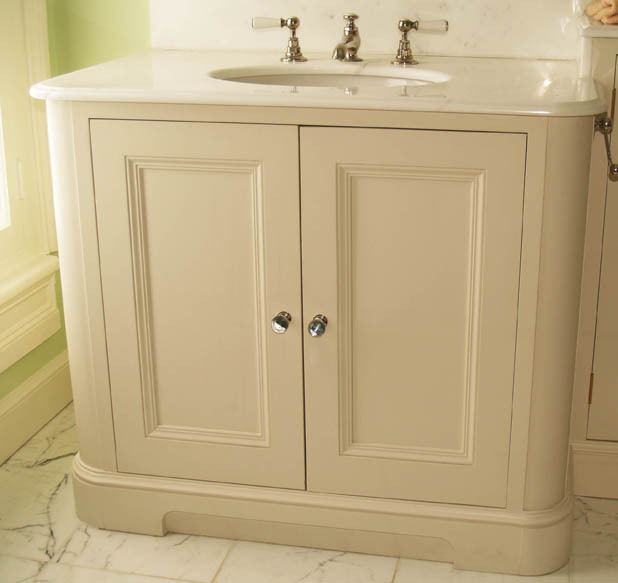 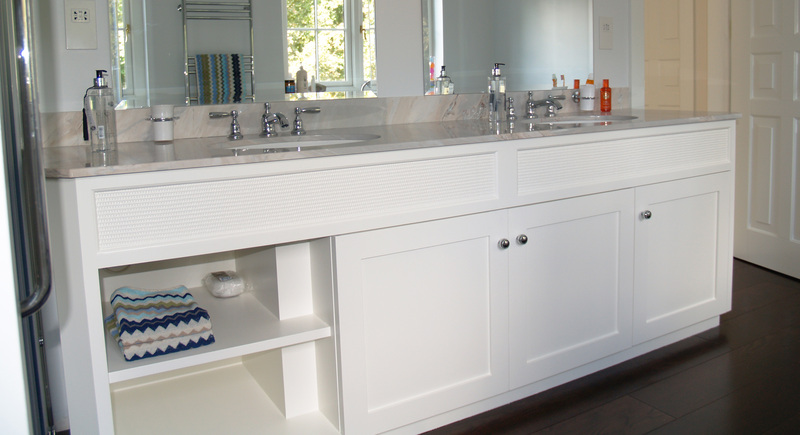 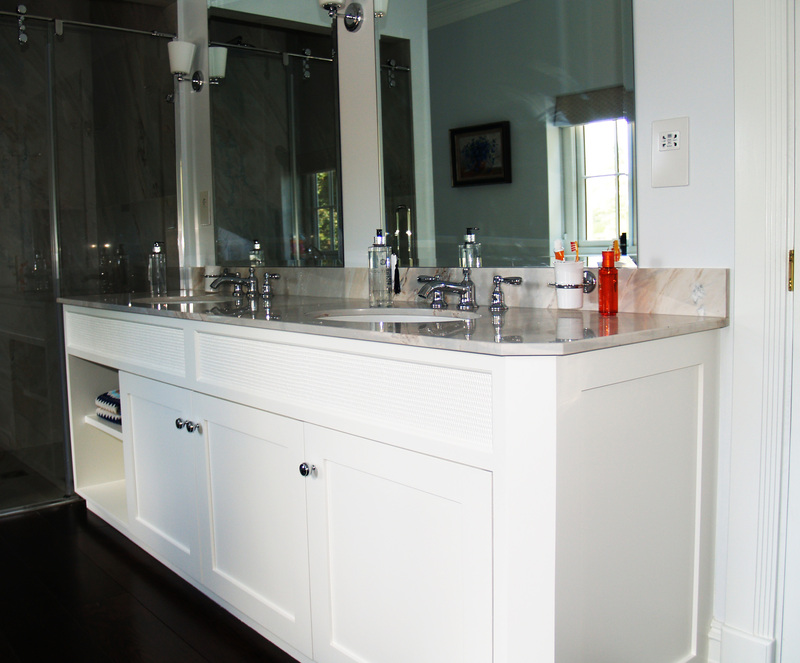 The simplicity of this elevation gives a real elegance elegance to this master bathroom suite. 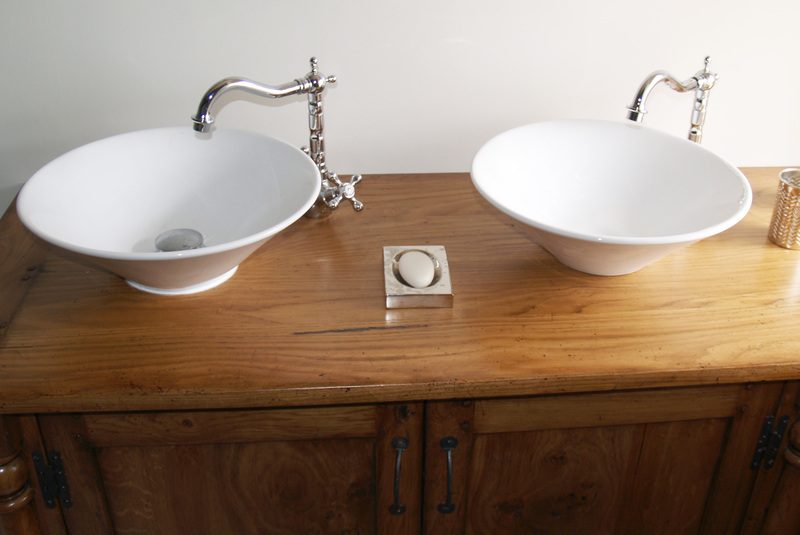 A study in the contemporary, this was commissioned for the master bathroom in an impressive barn conversion. 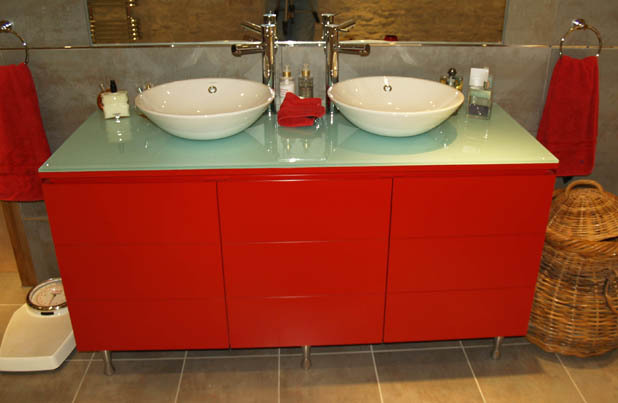 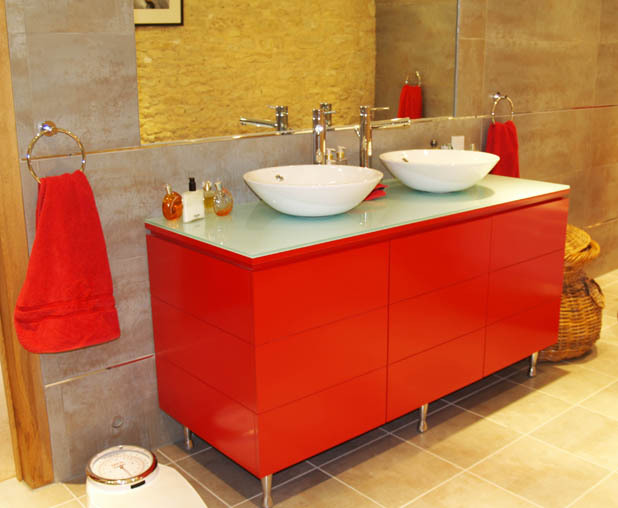 This bold red lacquer contrasts beautifully with the opaque glass and ceramic bowls. 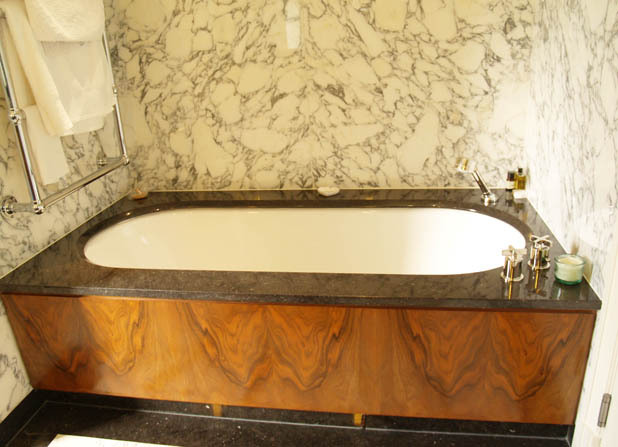 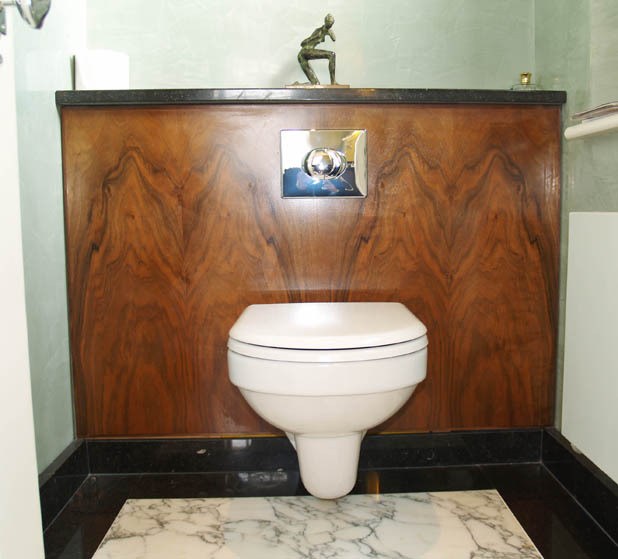 Classic "Deco" was our brief for this guest bathroom. 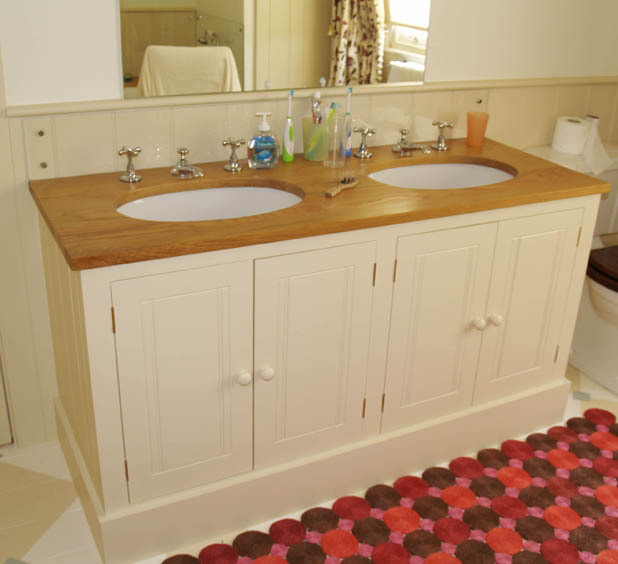 The chequered knobs offers an added authenticity. 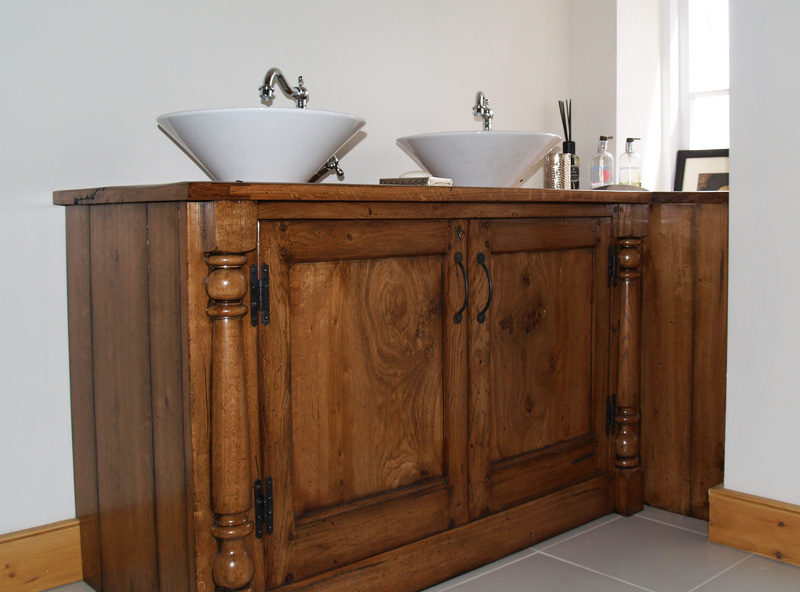 Painted Oak with natural styling.